What Does an Enterostomy Nurse Do? Where Do Enterostomy Nurses Work? What Is an Enterostomy Nurse? Enterostomy therapy nurses, sometimes referred to as ET or stoma nurses, are RNs who care for patients who have or may need enterostomies, which is a procedure that creates an ostomy (sometimes called a stoma) in the body to divert the bowels and eliminate feces. Ostomies must be continually cared for once the procedure has been performed, so enterostomy nurses provide medical care in addition to teaching patients and their families how to properly care for them at home. ET nurses must be comfortable with the messier aspects of the job, such as cleaning and/or troubleshooting defective ostomy appliances or caring for skin infections around the ostomy. An enterostomy nurse will need to first complete a nursing degree and become licensed as an RN. Beyond this, gaining experience in wound care and ostomies is highly recommended before going for proper certification. To search and apply for open enterostomy nursing positions, visit our job boards. What Are the Education Requirements for Enterostomy Nurses? Most enterostomy nursing positions require a 4-year Bachelor's Degree in Nursing or higher, as well as RN licensure upon passing the NCLEX-RN exam. Aside from the additional specialized training and certifications, hospitals and other employers generally like to see at least a few years of hands-on RN experience from their ET nurse hires. Experience with ostomies or would care are both considered a plus. Some ET nurses go on to earn Master's or doctoral degrees as well. Eligibility requirements include holding a BSN degree or higher along with an active RN license, in addition to graduating from an approved nursing education program or accumulating certain amount of direct patient clinical hours in combination with continuing education credits. Enterostomy nurses typically work in hospitals, but can also find work in physician offices, clinics, and other healthcare facilities. 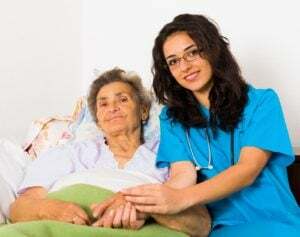 In addition to this, ET nurses can also be employed in nursing homes or assisted living facilities, or provide in-home care via a home health or hospice care agency. Occasionally, ET nurses are hired by medical device companies as well. Enterostomy nurses care for patients before and after enterostomy surgery as one of their primary duties. This includes ileostomy, colostomy, and urostomy surgeries, among others. If the surgery is not done on an emergency basis, the ET nurse will work with the patient before surgery to assist them in planning the ostomy placement and give them pointers on what to wear to minimize irritation near the site. After surgery, ET nurses teach the patient how to use their ostomy appliances as well as best practices in caring for themselves. These nurses may also treat, or educate patients on how to prevent, common complications such as skin infections and fistula, as well as work with the patient on pain management. What Are the Roles and Duties of an Enterostomy Nurse? Enterostomy nurses can earn between $75,802 and $92,495, depending on location, education level, and experience. The median salary for an ET nurse is roughly $83,542 annually. The employment outlook for ET nurses remains good, and many in the profession enjoy the long-term relationships with their patients. This specialty pays more than many other nursing specialties, and generally has regular hours. If an RN can handle the sometimes-squeamish tasks of dealing with bodily waste and fluids, they stand to have a secure and lucrative career in the specialty.